Hello, friends! My burnt wrist is recovering, and I've spent a few hours readying projects for two blog hops I'm in this weekend. Meanwhile, allow me to show you a special project I recently created. 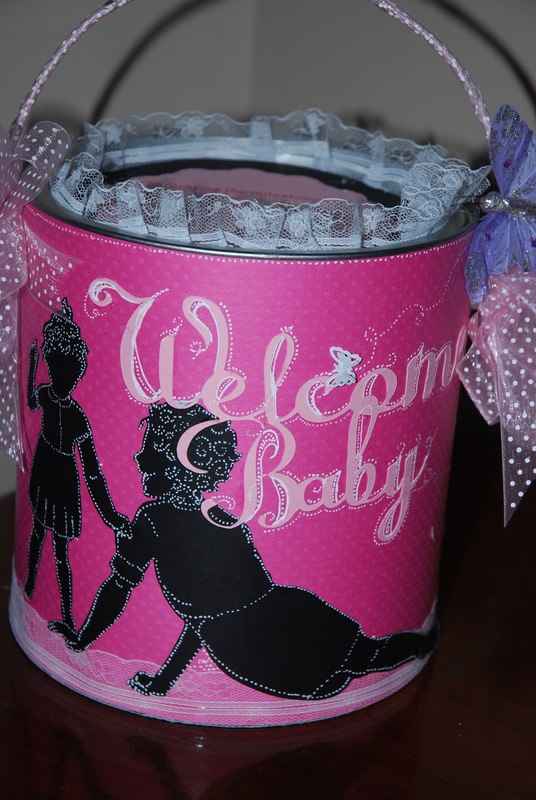 It's a "Welcome Baby" Memory Pail. 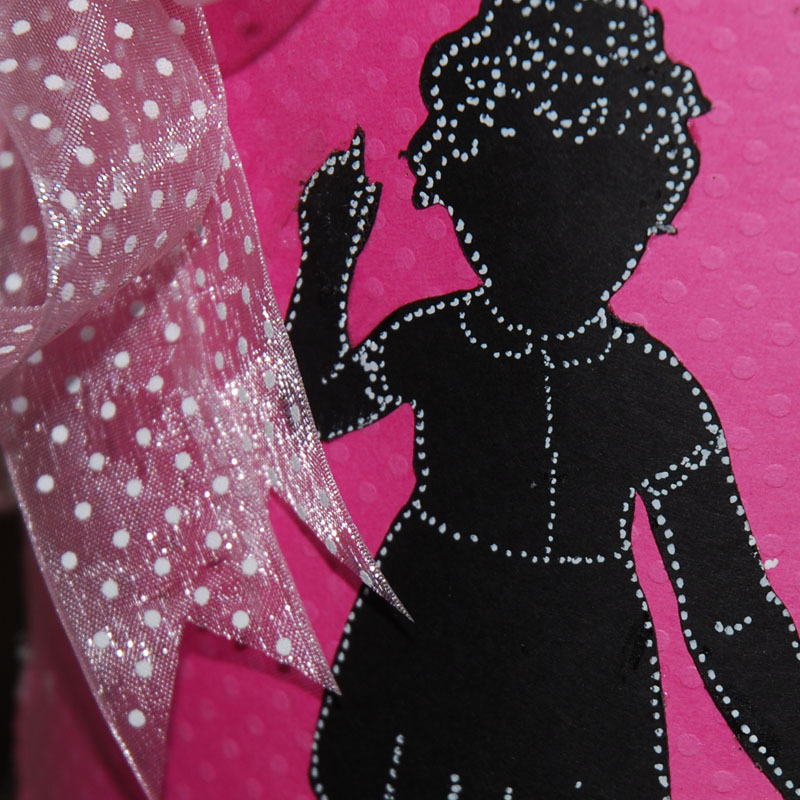 On the front side of the bucket, I cut a silhouette of a mother and child using Fairy Cut software and a design from Dover Publishing. I then used white gel pen to dot the edges and distinguishing features. 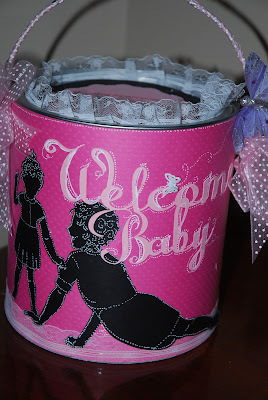 I cut text "Welcome Baby" and decorated the cut, again using white gel pen. I trimmed the bucket in lace at the bottom and top. 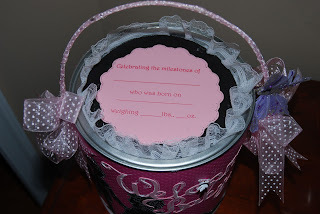 The handle is wrapped in a dotted organza ribbon, and tied with bows on either side. 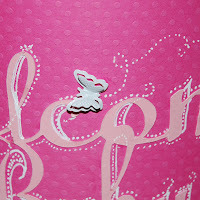 The butterfly clip on the bow is from Michael's. (rewrote in large part) to suit the occasion. 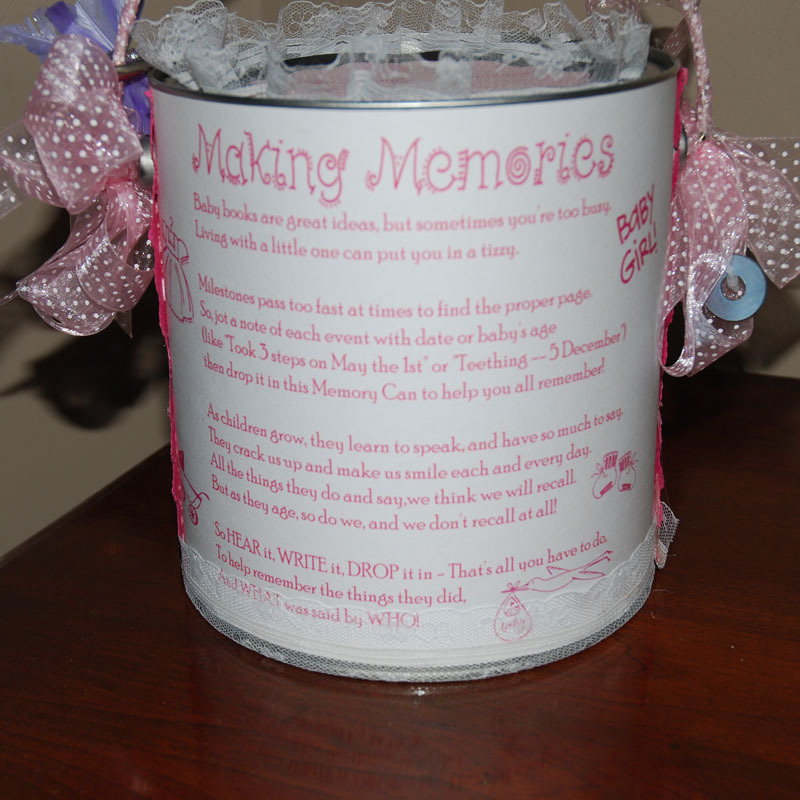 ﻿ The back of the can features a poem about keeping memories of your child's milestones. 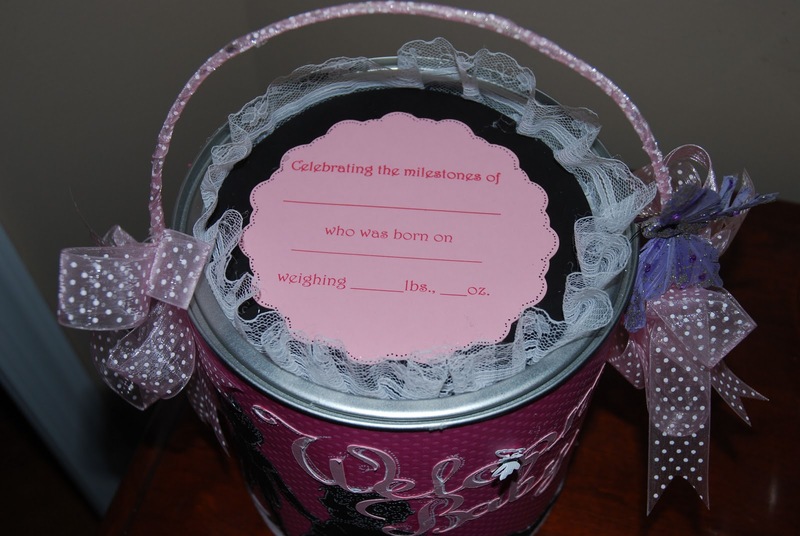 The top of the can can be personalized by the gift-giver. Here are some of the pen/ink details. 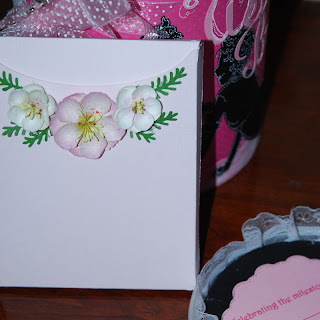 For inside the can, I made a box, cut from light pink cardstock using Cricut's "Tags, Bags, Boxes and More" cartridge. It was decorated with Prima Flowers. For inside the box (which is presented inside the can), I created a notepad of "Making Memories" sheets. These were printed 4-up on an 8.5x11" paper, cut and then padded 25 to a pad -- just right to fit in the box I made. 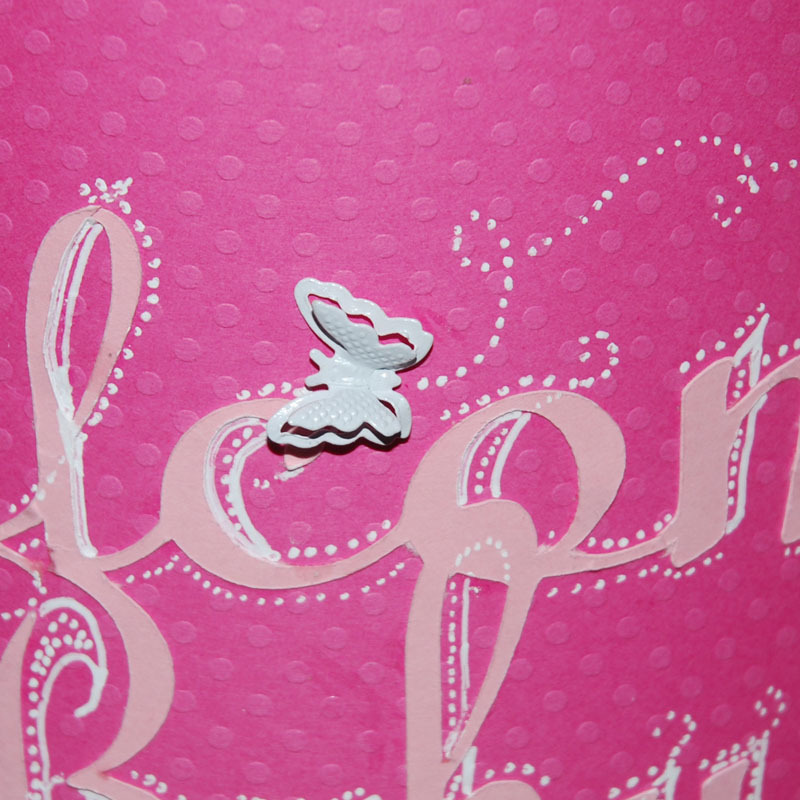 I also attached a pink pen to the side of the box. What a beautiful job with altering your paint can. I am sure it will be so well be received! Thank you for sharing. I hope your wrist is completely healed quickly! That is super cute! Love the lace! This is so pretty! 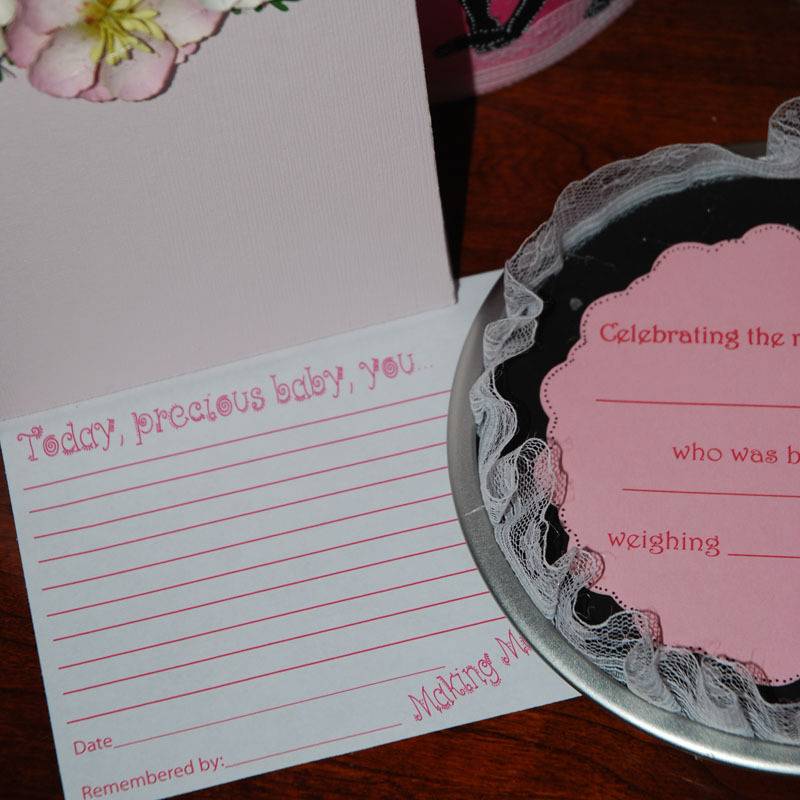 I love the cut out of mother & baby! You can tell that there was a lot of time and love that went into creating this. I'm sure that the new mother will love it. Wish I had of had one of these when DS was a baby (25 yrs ago), it sure beats writing it all on the calendar like I did way back when.